This postdoctoral position is part of a BiodivERsA project entitled “Detection of invasive plant species and assessment of their impact on ecosystem properties through remote sensing (DIARS)”. 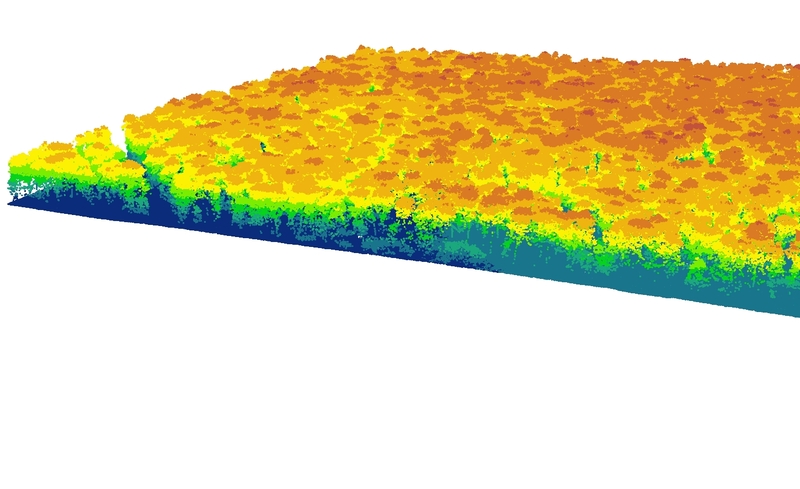 By combining field data together with two aircraft remote sensing technologies (hyperspectral imaging and light detection-and-ranging), DIARS aims at monitoring and modelling spread and risk assessment of invasive plant species at fine spatial resolution. Both remote sensing and field data are already available within the DIARS consortium for three different study sites (Belgium, France and Germany). The postdoc will develop a toolbox in a Free and Open Source environment (cf. R or GRASS GIS) to help end-users to combine both remote sensing and field data in a modelling framework that will allow mapping the invasion dynamic of non-native plants. More specifically, the toolbox will handle hyperspectral data preprocessing and classification, LiDAR data processing, species distribution modeling based on spatial proxies as well as field occurrences, and spatial representation of the uncertainty related to statistical modeling procedures. There will be many opportunities for independent and collaborative research in related areas of ecoinformatics. Ability to self-manage European project under European Commission, e.g. FP7. The main supervisors are Dr. Jonathan Lenoir and Dr. Duccio Rocchini who are Associate Professor in Biostatistics and Researcher in Geographical Modeling and Spatial Ecology, respectively. The postdoc will work in close collaboration with Tarek Hattab, who is a Post-Doctoral fellow involved in DIARS, and will benefit from interactions with researchers in remote sensing (Dr. Ben Somers, Dr. Feilhauer Hannes, Prof. Sebastian Schmidtlein and Prof. Gregory Asner), conservation ecology (Prof. Olivier Honnay) and biological invasions (Prof. Guillaume Decocq). Ecologie et Dynamique des Systèmes Anthropisés (EDYSAN), Jules Vernes University of Picardie, Amiens, France. EDYSAN is a young, diverse, vibrant and international research community with strong collaborative interdisciplinary ties within and beyond Amiens. More information about the people and research activities of the group can be here. The postdoctoral position should start at the latest on January 1st 2016. For further information, please contact: Dr. Jonathan Lenoir (jonathan.lenoir@u-picardie.fr). Please send your CV, including a list of publications, together with a cover letter and the contact information of 3 references to Jonathan Lenoir (jonathan.lenoir@u-picardie.fr). The application deadline is November 23rd 2015. DFG and ANR, part of the 2012-2013 BiodivERsA call for research proposals. 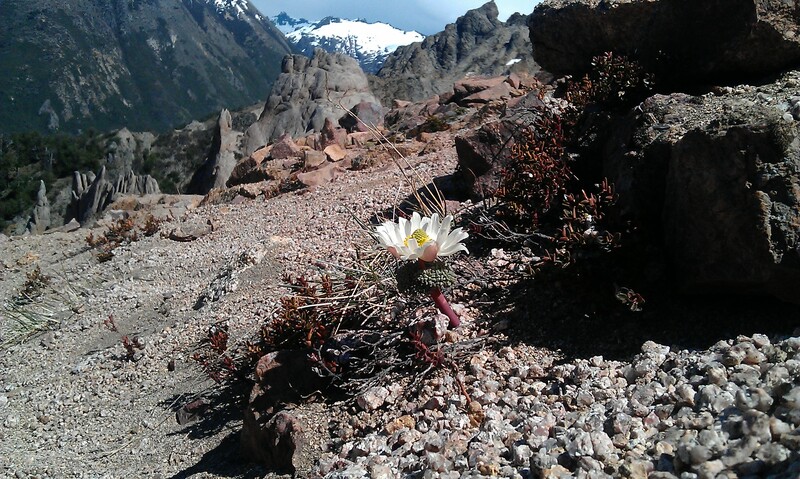 I have just spent several days in the breathtaking mountain landscapes of the Nahuel Huapi National Park (San Carlos de Bariloche, Argentina) together with Ann Milbau, Jonas Lembrechts, Anibal Pauchard and Martin Nuñez talking about plant invasion at high altitudes and latitudes. I’m still very much a novice in the field of plant invasions and thus this post might sound pretty naive to those of you who are plant-invasion geeks. Anyway, I think that I’m learning a lot by hanging around Ann, Jonas, Anibal and Martin who all know a great deal on this topic and thus I’m giving it a try. Please, correct me if I’m saying anything stupid here. 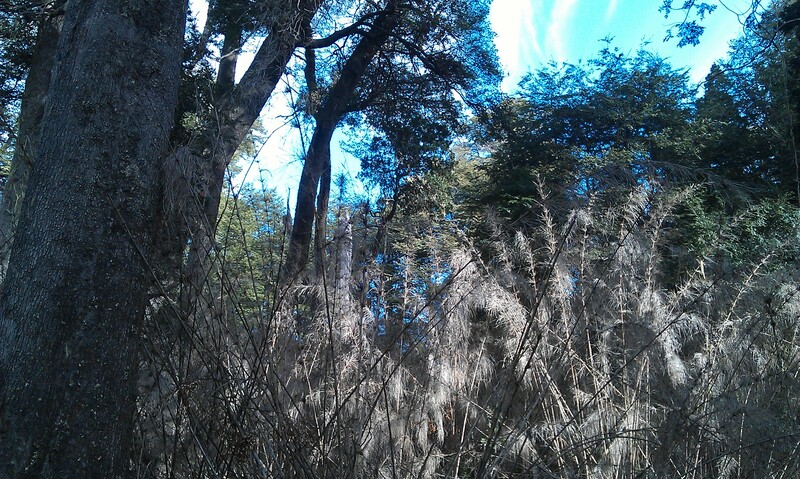 One thing that I have rapidely understood is that although these cold and harsh environments are among the least invaded ecosystems in the world, nonnative plants are becoming increasingly common in these environments (Pauchard et al., 2009) and will be even more with future climate change, posing a threat to native plant species. 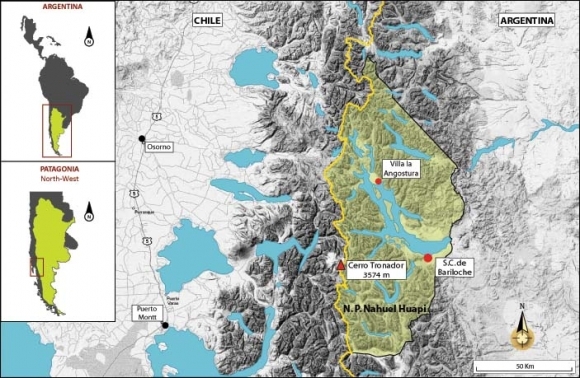 Within the Nahuel Huapi National Park, up to 130 invasive plants have been recorded so far. 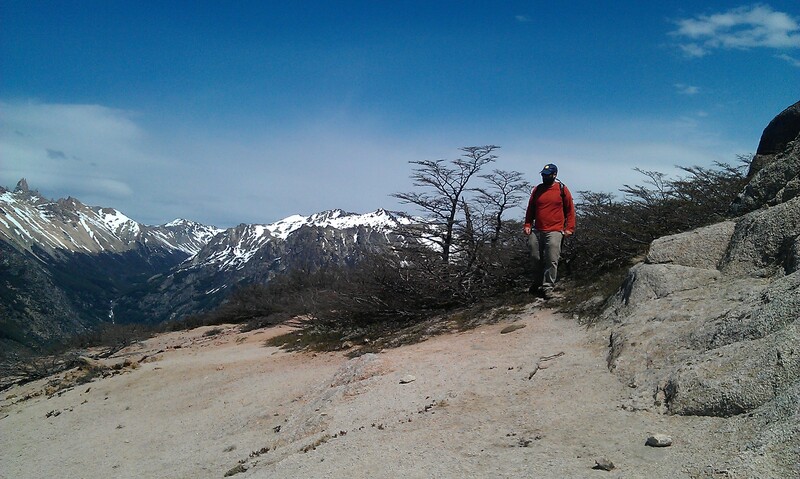 Shortly after landing in San Carlos de Bariloche, I could easily grasp the phenomenon and see by myself how important are plant invasions in mountain ecosystems such as in the Nahuel Huapi National Park and its surroundings. 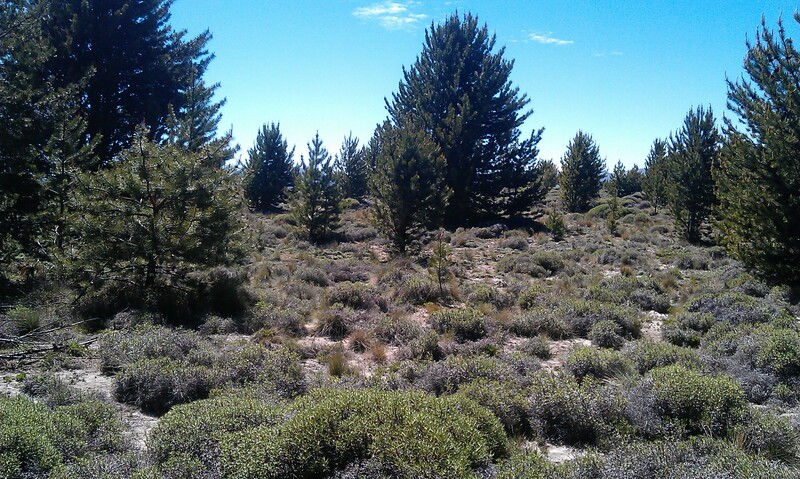 The Lodgepole pine (Pinus contorda), native from the western part of North America, has already rapidly expanded into the dry steppes surrounding Bariloche’s airport at the foothill of the Patagonian Andes. 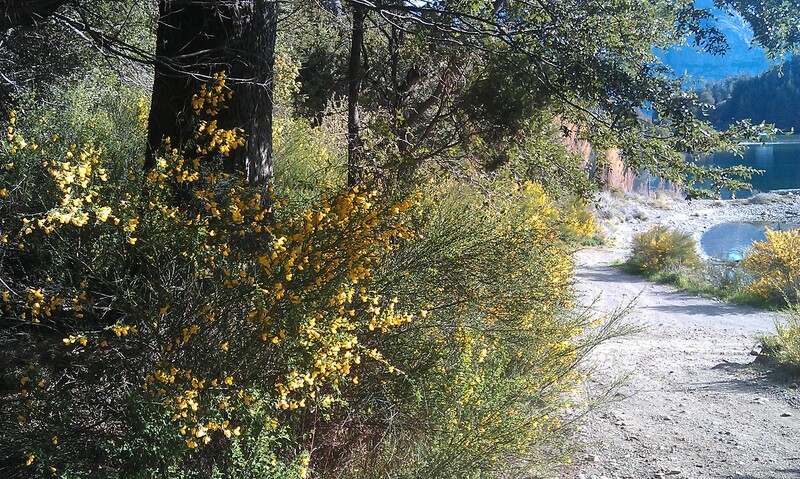 As we were heading towards Bariloche, I could not miss the bright yellow colors of the Scotch broom (Cytisus scoparius) along the road. This European fellow is simply everywhere on the roadsides. 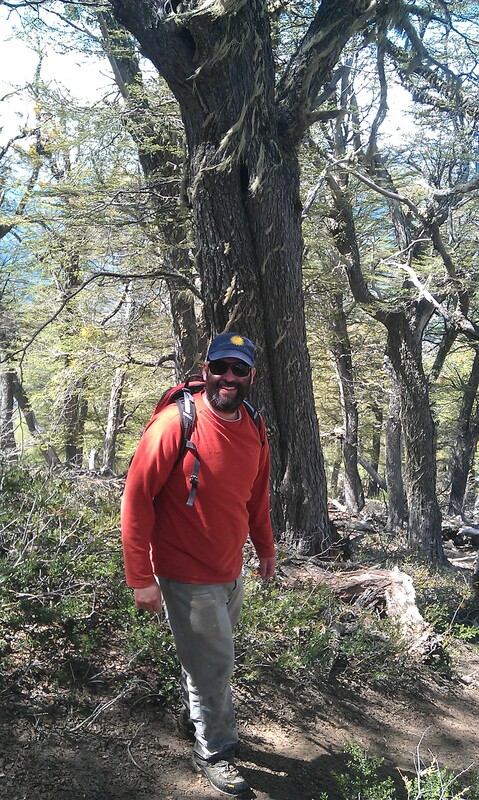 From the lakeshore, close to Bariloche, we climbed uphill within the impressive Coihue forest (Nothofagus dombeyi) which understorey was covered by a carpet of dead Caña coihue (Chusquea coleou) after a massive die-off happening some years ago. This native bamboo is flowering on a thirty-year basis, on average, triggering mice population explosions the following years due to large seed supplies. 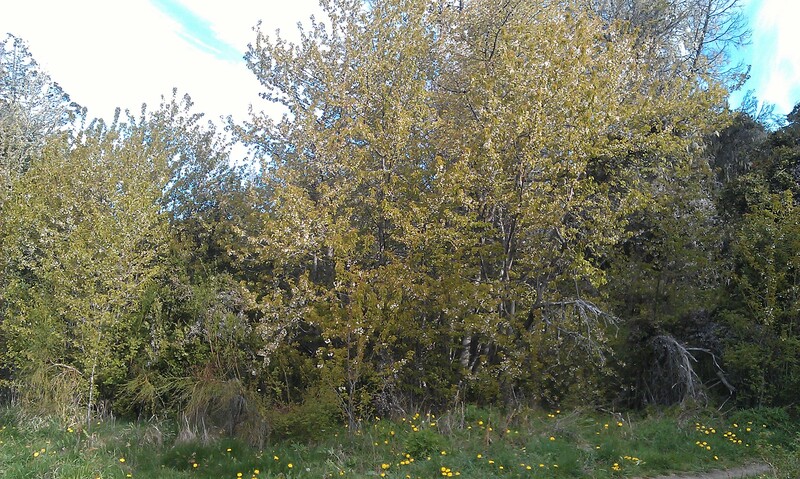 As we moved up along the trail, I encountered plenty of our little European plant fellows playing hide and seek in the clearings, among others: Prunus avium, Sorbus aucuparia, Juniperus communis, Rosa rubiginosa, Rubus idaeus and Taraxacum officinale. 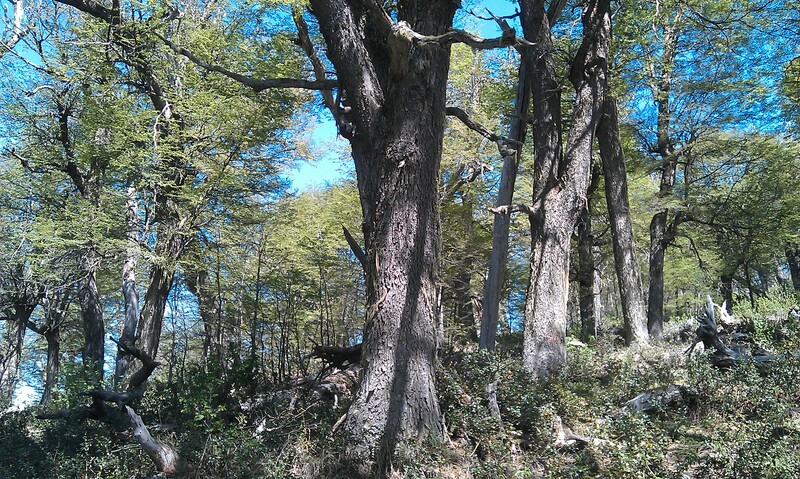 As we kept climbing upward it got less crowded with European plants and once we reached the vegetation belt of the Lenga forest (Nothofagus pumilio), only few individuals were standing here and there along the trail (Rosa rubiginosa, Taraxacum officinale and Hieracium pilosella), barely visible. Finally, once we reached the treeline, at the doorstep of the alpine vegetation belt when Lenga trees rapidly decreases in size (see the two pictures below with Martin for the scale), then I did not see any of our European fellows anymore but maybe these little guys were just hiding very well and I was just too tired after the hike. Or, most likely, I was just too much distracted by the most beautiful native alpine plant of the area (Ranunculus semiverticillatus) to see any nonnative plant… Thank Ann, Jonas, Anibal and Martin for the great discussions and for letting me discover a wonderful country (@Martin: you look great on the two pictures, very professional). 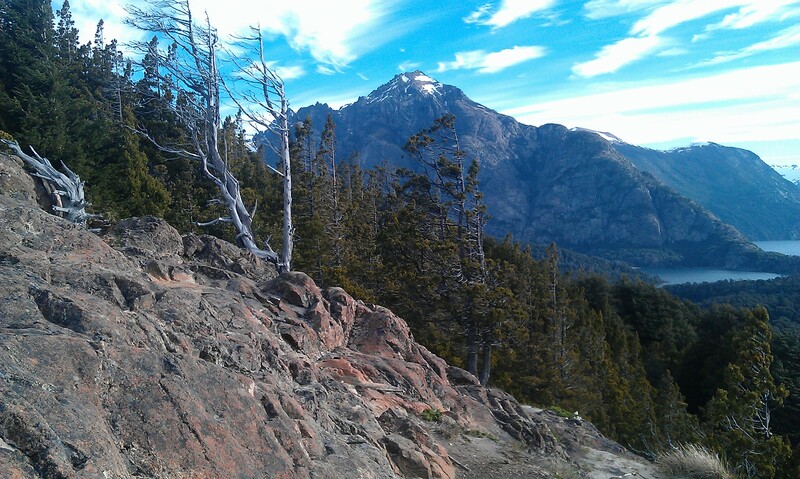 For more information on plant invasions into mountain areas in general, have a look at the website of the outstanding mountain invasion research network (MIREN). Last but not least, I highly recommend to visit Jona’s blog which is just amazing and full of beautiful pictures, enjoy.